Preheat oven to 350°F. 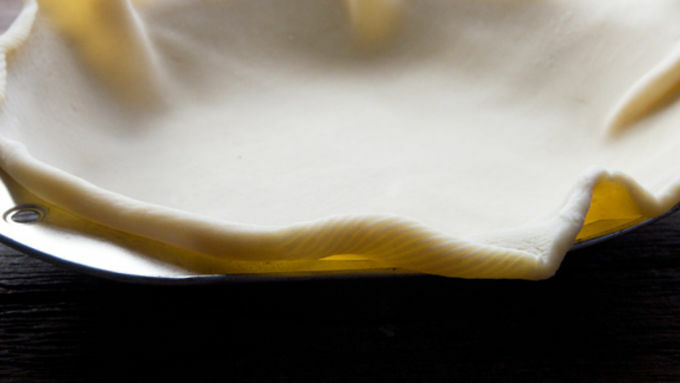 Unroll one pie crust and place it in the bottom of a pie pan. Melt butter in a large skillet over medium-high heat. Add apples and cook until softened, about 8-10 minutes. Add peaches, bourbon, sugar, and apple pie spice. Sprinkle with flour and stir together well as the mixture begins to heat and thicken. 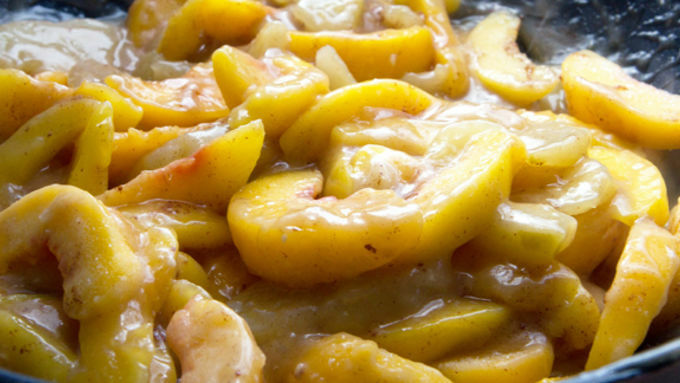 Pour peach mixture into the pie tin lined with crust. Place the second piece of pie crust over the filling, use a knife to trim the edges of the pie crust (set these trimming aside for decorating the top of the pie). 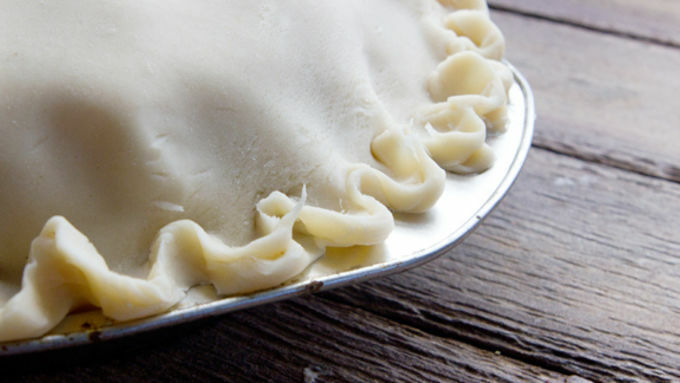 Slice a small circle in the center of the pie to vent, then press the edges of the top and bottom pie crusts together. Crack egg into a small bowl. 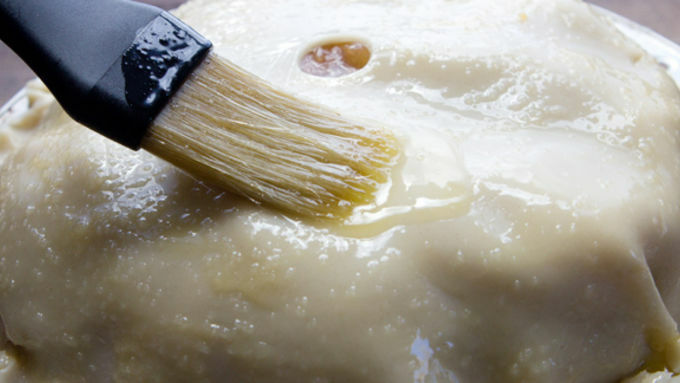 Whisk until well beaten, then use a basting brush to coat the top of the pie with the beaten egg. Roll the extra pieces of pie crust together until 1/8 thick. Cut into shapes or letters with mini fondant cutters (available at most local craft stores). 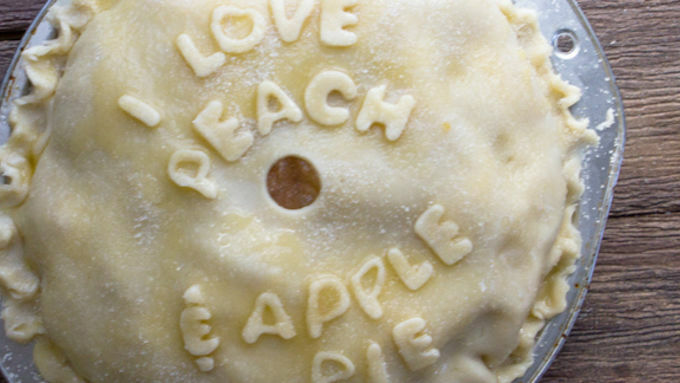 Press decorations onto the top crust. Coat once more with a brush of the egg mixture, sprinkle with a little sugar, if desired. Bake in preheated oven for 40-45 minutes, or until the pie crust turns a medium golden brown. Cool completely before slicing and serving with caramel, whipped cream and a dusting of apple pie spice. Peach pie. Plus apple pie. Plus bourbon. Baked in a flaky crust and slathered in a caramel sauce. This incredible recipe is like the trendy, haute-flavored, hipster way to do pie. Except it's not understated enough. It's like a big, warm hug of flavorful happiness, all spiced perfectly and served on a plate. Dear hipsters, welcome home. There's nothing quite so scrumptious as a pie ready to be baked. 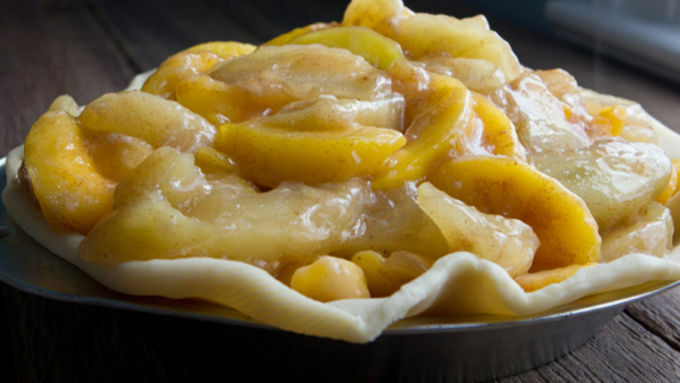 Once finished, allow your pie to cool completely. Sticking it in the fridge is ideal; it keeps all the innards together so you can cut a perfect slice. Speaking of the perfect slice…top yours with a drizzle of caramel sauce. And ice cream. Or whipped cream. Or super-creamy vanilla yogurt. 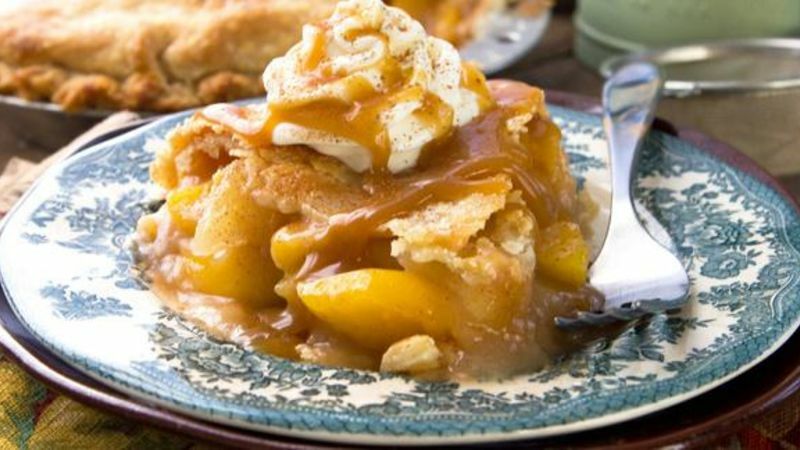 Get in myyyyy belly… You just really gotta love peach and apple pie!